With the end of anthracite mining in Northeastern Pennsylvania, Pittston saw one of its major industries disappear as quickly as one of the mine cars used to plug up the Knox Mine breach in the Susquehanna. Over the next few decades, Pittston also saw its manufacturing and garment businesses also disappear. People began moving away.The once lively main street was slowly dying with boarded-up businesses and decrepit facades but, the people of Pittston never gave up. Revitalization efforts began in 1996, when former mayor Mike Lombardo helped found Downtown Tomorrow and started small, encouraging businesses to improve the storefronts that may have fallen into disrepair because of mounting expenses. They started offering facade enhancement grants to businesses to improve their curb appeal in the hope the small improvements would inspire owners to keep the ball rolling. Then in 2013, Pittston city officials broke ground on a $9 million condominium project on Kennedy Boulevard. Known as “River’s Edge,” the four-story building houses 30 condominiums and is the first major residential project in the city in several decades. 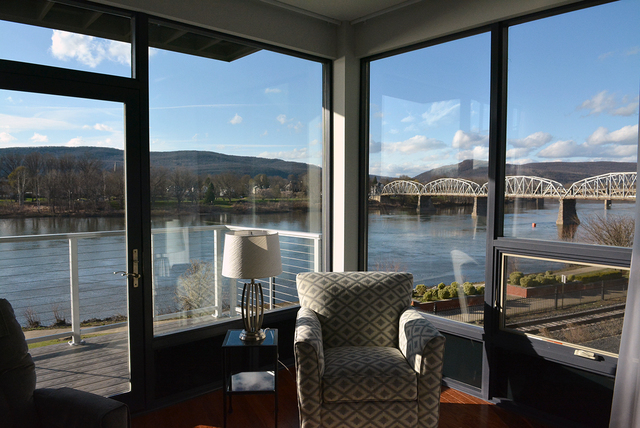 Buildings like River’s Edge help further the goal of bring people back to Pittston and moving beyond a “linear” revitalization of just first-floor businesses. 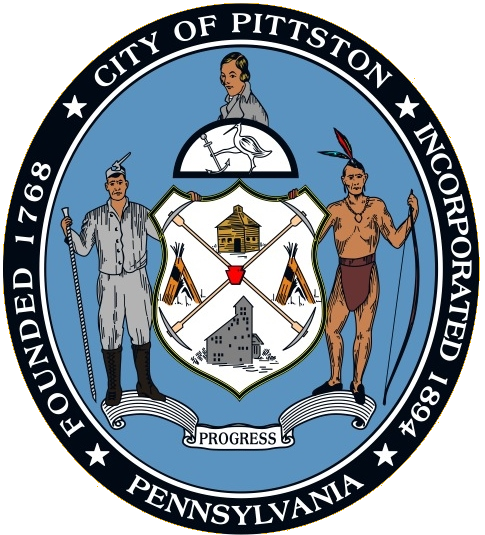 Public art was another area that Pittston focused on in its revitalization efforts. Today someone walking down main street in Pittston can see a wide variety of interesting pieces of public art. From painted fire hydrants and beautiful wall murals to rather curious street signs and sculpture. Pittston is truly becoming an art destination in the northeast. What was once boarded-up businesses have been transformed into new businesses, parks, art galleries, eateries, a new medical center and educational facilities. 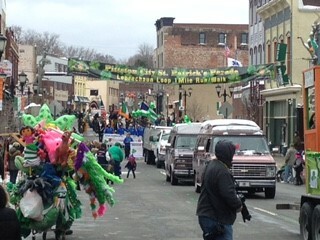 Pittston is taking pride in its main street again and is now hosting a variety of new community events including the St. Patrick’s Day Parade (brought back after nearly 100 years), the Second Fridays Artwalk, Farmers Market, Trick or Treat on Main Street, Christmas in Pittston and more! Downtown Tomorrow gave way to the city’s current Redevelopment Authority, but its mission remains the same. Now only is Pittston on the path to revitalization but its greatest days may still be ahead.